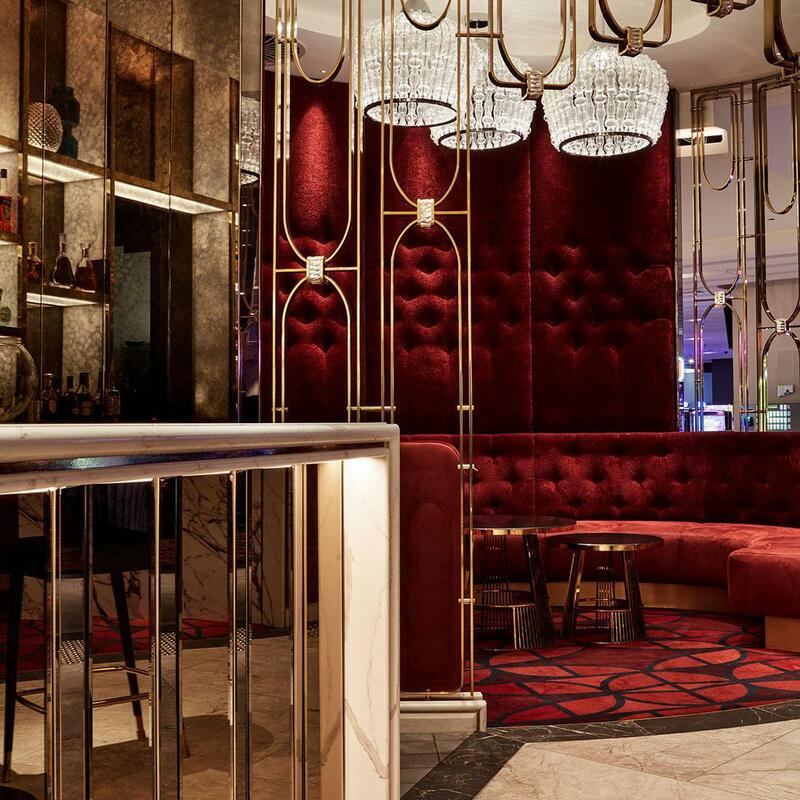 Cherry at The Star on Australia's Gold Coast is the epitome of luxe sophistication. 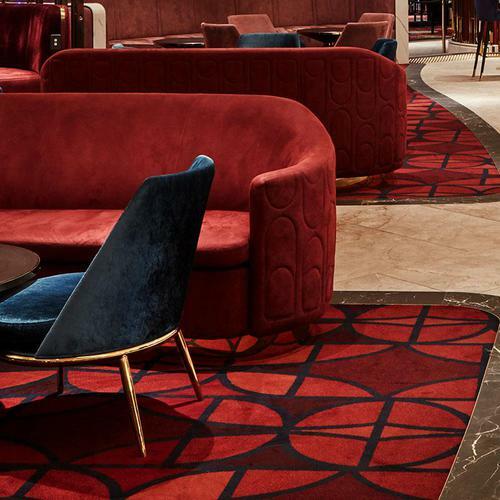 Shortlisted in the Australian 2018 Restaurant & Bar Design Awards, the sophisticated cocktail bar has been beautifully transformed by Australian architect and design practice BSPN Architecture (formerly Brand + Slater Architects), as part of The Star Gold Coast's initial transformation. The venue's transformation is exquisite. 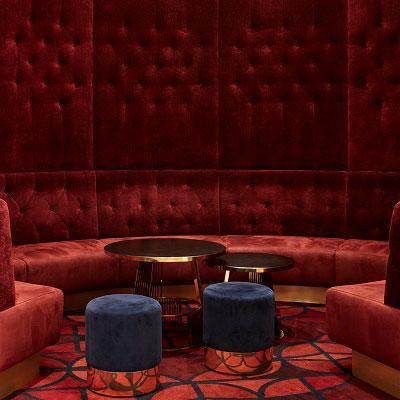 The extravagant fit-out features plush red velvet furnishings and eye-catching crystal decorations. 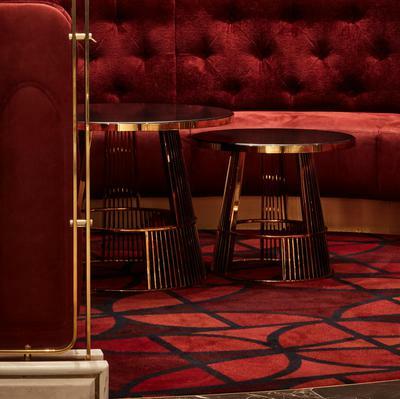 The carpets, inspired by fine jewellery detailing, complete the luxurious scheme. 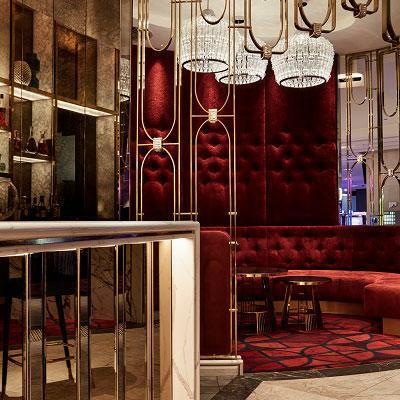 With designer drink in hand - created by The Star's highly talented team of mixologists - guests are invited to move away from the lavish 22 meter gold-trimmed bar into one of Cherry's intimate booths - each furnished with a gorgeous, beautifully designed woven Axminster carpet from Brintons. 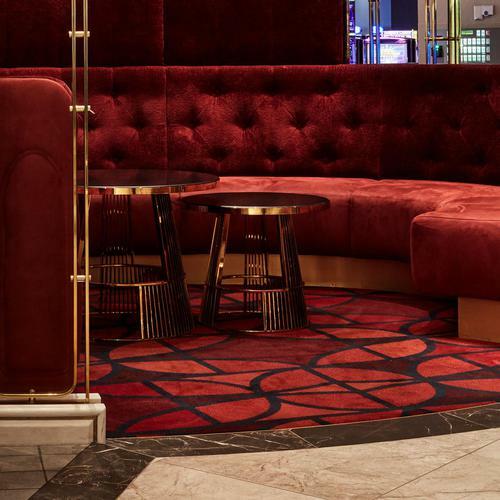 Entrusted with bringing BSPN Architecture's vision to the floor, Brintons' designers crafted a geometric, jewel inspired pattern for the intimate seating areas. Understated, the jewelled patterning was given a luxurious colour treatment of seductive ruby tones and deep amethyst contouring. 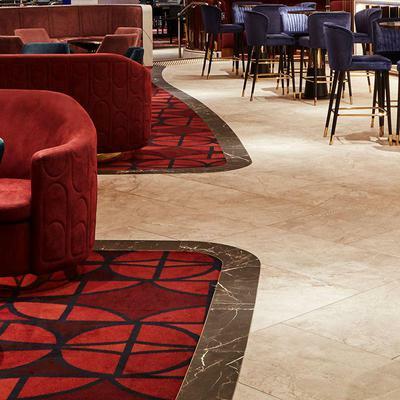 Woven in Brintons' signature 80% wool, 20% nylon blend, the Axminster carpets create a sensation of luxury underfoot, whilst providing a hard wearing, high performance decorative surface for the floors.